A photo from the category “The Ends,” from the MFA’s Unfinished Stories” exhibit. 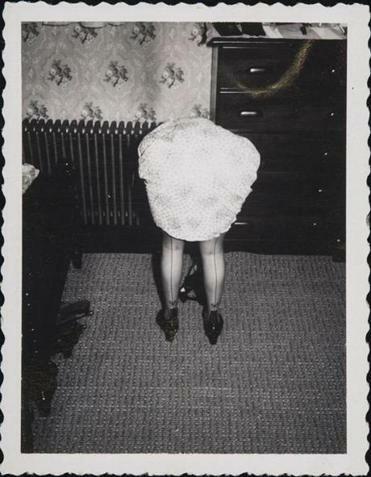 Over the past quarter century, Peter J. Cohen has amassed a collection of some 50,000 vernacular photographs. 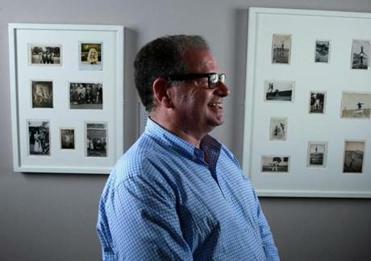 He recently gave more than 1,000 of them to the Museum of Fine Arts. From that donation, curators Karen E. Haas and Kristen Gresh have selected roughly 300 for “Unfinished Stories: Snapshots From the Peter J. Cohen Collection.” The photographs, most of which are in black and white, span the first three-quarters of the last century. The show runs through Feb. 21. The title is apt. With an art photograph, form trumps content, ever and always. With vernacular photography — snapshots and candids and commercial portraits and the like — content is king. It’s who and what, when and where that count, not how. That isn’t to say that form doesn’t have its place. An on-the-fly “snapshot aesthetic” defines several decades of street photography. And so many of the pictures in “Unfinished Stories” have fascinating stylistic tics. Amateurs need not be amateurish. A selection of double-exposed pictures shows their anonymous photographers striving for unusual visual effects (or, OK, in some cases being inept). 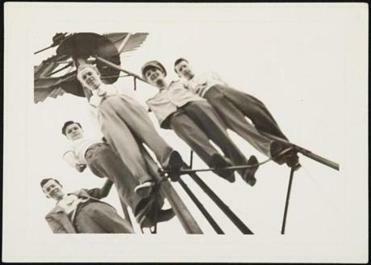 Shot from below and at a radical angle during the ’30s or ’40s, a group of guys standing on a metal structure look as though they’re posing for the Soviet Constructivist Alexander Rodchenko. 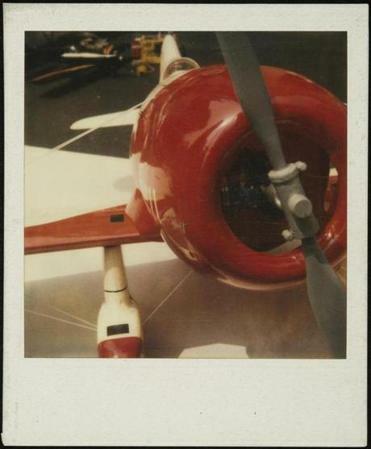 A photograph showing a severely foreshortened and cropped propeller plane, shot during the ’60s or ’70s, could be an outtake from “William Eggleston’s Guide” (assuming Eggleston had used a Polaroid camera). The red is that eye-popping, the subject so oddball mundane. Ah, but there’s that word: subject. Again and again, looking at these pictures, one wonders about their subjects. Who are these people? What brought them here? What happened to them? What are their stories? The image is a slice of a continuum as long as the sitter’s life — the photographer’s, too. Actually, the continuum is longer, since it extends into the life of the viewer. 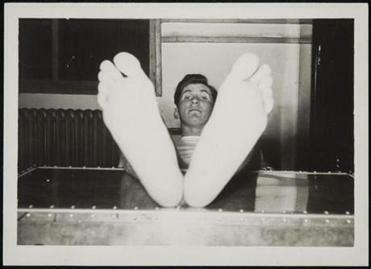 Peter J. Cohen’s found photographs encapsulate the American experience in their depictions of everyday life. Such wondering is inevitable. Precisely because all of us have taken similar pictures and posed for them — at home, on vacation, goofing around, hanging out — we ask such questions. But for the grace of the camera god (and availability through an estate sale or on eBay), there go you and I. The point, of course, is that the categories are arbitrary, in the same sense that these images are arbitrary — i.e., why them? why then? why there? So much of the wonder of life (so much of its terror, too) has to do with its arbitrariness. Among the very many pleasures that “Unfinished Stories” affords is the eloquently mute tribute it pays to that fact. see a more charming, even adorable, museum show. That adorability extends even to what is usually a bit of MFA egregiousness. One of the lamer things the museum has done during the final few years of the Rogers era — right up there with that toxic-limeade Chihuly tree in the Shapiro Family Courtyard and the frou-frou profusion of silverware and ceramics in European painting galleries — has been including wall labels with curators’ photographs in temporary exhibitions. Yes, these people are able, learned professionals — but let’s focus on the art. Well, for once this practice finds itself justified. The “Unfinished Stories” portraits are snapshots of the curators as children. Talk about adorability! Haas is playing with a kitty. Gresh, in fetching white, blue, and red top, mugs for the camera. Cohen might want to consider adding them to his collection.